Lunch & deli – Comfort & Joy Hot tasty wraps, salads and those famous scotch eggs plus takeaways – curries, lasagne and more. Great picnic food to take away. Vegan lunch – Benin Bronze. Setonji’s serving up Peanut Stew, Benin Style Rice and Plantain £5 and Hot Banana Dumplings £3.50. NEW STALL Snacks – Electric Future Foods Vegan frittatas and a sugar-free, sea moss sorrel drink. Also on the stall this week we’ll have blood orange and elderflower cake, the return of the Blue Velvet, strawberry and clotted cream cheesecake, chocolate Guinness cake, double carrot cake, and a Speckled Egg chocolate cake layered with golden caramel too. We’re also bringing raspberry pistachio crumbles, custard tart, salted chocolate brownies, peanut butter bars, triple chocolate cookies, sticky buns, cardamom knots, and plenty of jars of our Great Taste Award-winning marmalade (more jam in a couple of weeks, I promise). Need a whole cake? Order online by Wednesday nights to collect from the following Saturday’s market. See you soon! Pastries – Levain Bakery pastries, Portuguese custard tarts, doughnuts. Pastries – Bread Bread Croissant, pain au chocolat, pain au raisan, almond croissant and much more. Olive Oil –Elia Olive Oil. Award winning Cretan organic extra virgin olive oil in 3 quantities, 500ml, 750ml and 5 litres. Chocolate – Gemini Chocolate – raw chocolate, made in West Norwood, single origin. Spicy preserves – Chilli Brothersare back with their delicious selection of gourmet artisan crafted chilli sauces. Check out our wonderful condiments; Apple with Yuzu, Orange with Ginger and more flavours. All free from preservatives and 100% vegan. CBD & more – Eat Moringa David says “NEW COPPER CUPS in STOCK Copper is an essential trace mineral necessary for survival. It is found in all body tissues and plays a role in making red blood cells and maintaining nerve cells and the immune system. It also helps the body form collagen and absorb iron, and plays a role in energy production. Copper is considered an essential mineral for our body. Storecupboard refills – The Store Cupboard You can pay by card or cash. Follow us on Instagram, Twitter or Facebook. We are also open on Wednesdays from 2-7pm. Bakery & pastries – Bread Bread Woodfired sourdough bread and pastries, made in Brixton. Find Bread Bread in their new spot in the lower market, next to Brockmans Farm. Fresh pasta – Pasta di Grazia Full range of handmade Italian pastas and sauces. Bread – Levain Bakery Chris Masembe and his team at Levain Bakery have a simple philosophy; to make artisan breads to the highest possible standards. All breads are sourdoughs and are made using their own sourdough starter, a labour of love which they have kept going since they first started the bakery. Find Kuba on the bread stall in the courtyard. Fish – Veasey’s Full slab from their own boats and others. To order, email info@veaseyandsons.co.uk or phone on 01342 822906. Check out this blog about Veasey’s. 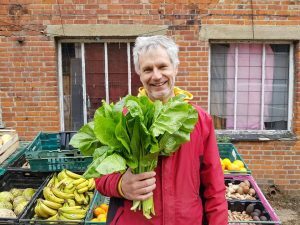 Local growing project –Patchwork Farm Reopening soon. Are you a grower or have a fruit tree in your garden? Bring your gluts so they don’t get wasted. 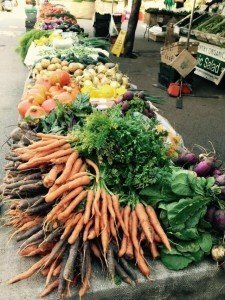 Do you like local fruits and veg? Come and see what’s on offer and pay what you want. Eco products – Roots & Cycles. Eco products, refills. New in stock – refillable shampoo, conditioner and castille soap. Organic, vegan and all produced in London. Just bring your containers and fill up. 2 pence a ml. Check out their newsletter here. Hats – by Venus One off designer pieces. Candles – Kairos Moon Colourful aromatherapy candles, also in the walkthrough. Jewellery and shawls – Nou Moon Beautiful collection of original Indian fare sold by local Anoushka. Original illustrations – Images Delmar Dylan sells original illustrations and also runs a picture framing service. Local art & craft stall – Palace Makers Part of Transition Town and open to Artists, designers, makers and craftspeople who live in the local and surrounding areas. If this sounds like you or someone you know, and you/they might like to be part of this weekly stall, please contact us via our Facebook page here. 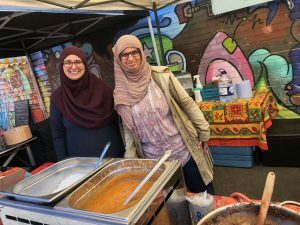 News From Crystal Palace – we love this local news page from our friend, journalist Jerry Green. Save Central Hill Community – support our neighbours & find out more about the proposed demolition of the estate, and how it would everyone in the area. Our neighbours – Antenna Studios Music, dance, performances, practice, recording & more. Also loads of great classes and the best coffee in the Palace. 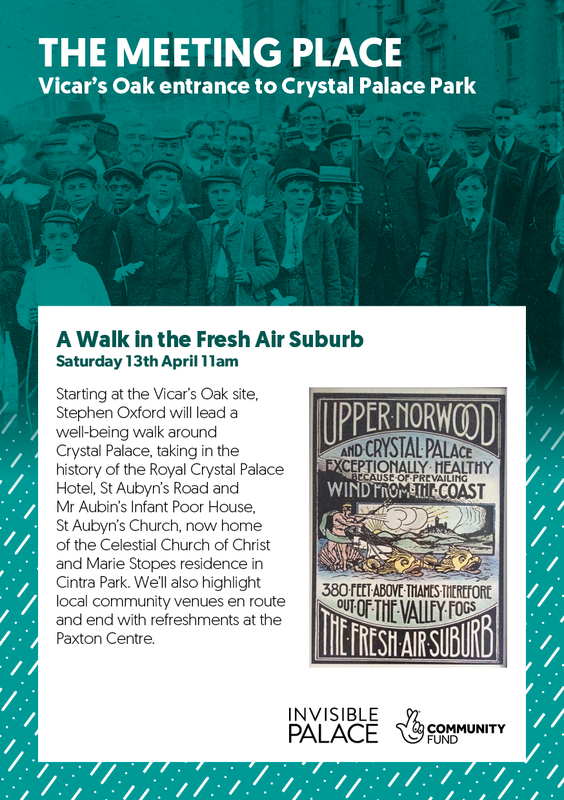 We are proud to be part of Crystal Palace Transition Town. Wondering who we are, what we do, or how you could get involved? Our blog section is a great place to start or this talk given by Joe Duggan, one of the co-chairs. Follow us on twitter @CPFoodMarket or join us on Facebook. We’re now open every Wednesday 2-7pm, in the courtyard of Haynes Lane, with the following stalls; Brockman’s Farm, who sell organic & biodynamic veg, fruit & eggs; The Store Cupboard with organic refills by weight; Bread Bread with a small range of woodfired bread and Roots & Cycles for refiling all your washing and cleaning liquids. And get a tea or coffee at the lovely Antenna Cafe. 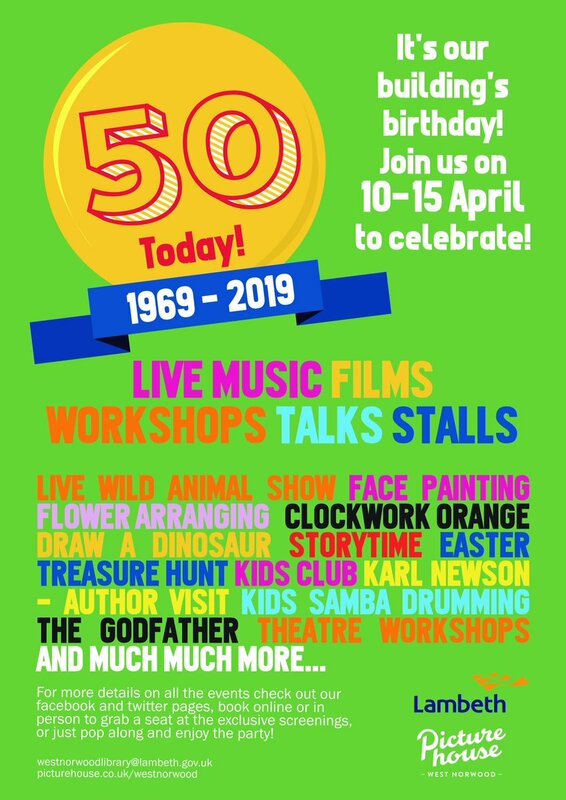 Norwood Planning Assembly will be having a stall today (Friday 12th April) 10.30am – 3pm and Saturday 11am – 4.30pm as part of West Norwood Library’s 50th anniversary celebrations. JOIN THE FRIENDS OF STAMBOURNE IN THE WOODS AND GET FLOWERY! We’ve been given a pack of wildflower seeds by Grow Wild, which we’ll be planting near the bottom and top entrances. And If you’d like to learn more about wild flowers and fungi, such as which flowers to grow to attract bees or butterflies, and how to grow them, take a look at the Grow Wild website. Depending on numbers, we’ll also be creating some deadwood hedges to provide habitat for wildlife. Kids are welcome and, as always, and they can choose to join in with the work or to play. Our next activity day will be Sunday 12th May …and every second Sunday of the month. If you aren’t a member already, we’d love you to join our group. Membership is free, but you’ll be helping us out by joining. 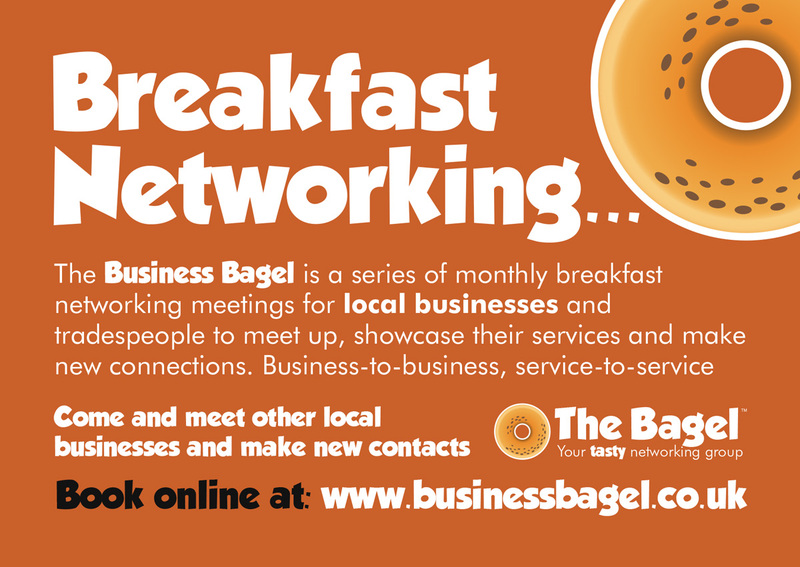 Simply send an email to say ‘Yes, I’d like to be a member‘ and give us your name and email address. If you can’t wait till next month’s newsletter, check the updates on our Facebook page. Come and see more about what’s we’ve got in store.